Barry Lam—an associate professor of philosophy at Vassar College and host of the philosophy podcast Hi-Phi Nation on Slate—is coming to UC Santa Cruz this week to begin a two-week residency. Lam comes to the campus as part of The Humanities Institute’s Scholars-in-Residence program. He is the writer, editor, and producer of Hi-Phi Nation, billed as the first podcast weaving philosophy with narrative storytelling, investigative journalism, and sound design. It is also the first philosophy show to be picked up by a major podcast network. During his visit, Lam will speak with various groups on campus about such wide-ranging topics as public philosophy, podcasting, artificial intelligence, and criminal justice reform. "THI’s Scholars-in-Residence program allows us to bring a fresh perspective onto issues that our faculty, students, and the broader community are grappling with," noted managing director Irena Polić. "We launched the program in 2017 and have since partnered with the Center for Jewish Studies and the Baskin Chair in Feminist Studies, and will be hosting a visiting scholar in 2020 in partnership with the Center for Innovations in Teaching and Learning." "This year, we are thrilled to be hosting Barry Lam, an extraordinarily creative and dynamic scholar, in partnership with the Center for Public Philosophy," Polić added. 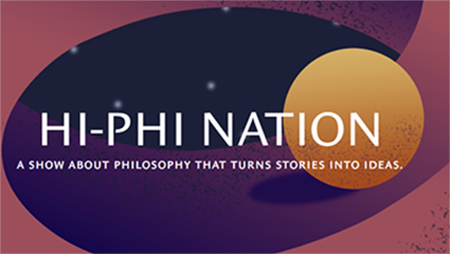 "Barry’s podcast, Hi-Phi Nation, is at the forefront of public philosophy and aligns perfectly with our mission to expand the field of humanities scholarship with digital tools and to engage with the broadest community possible." Lam kicks off his residency on April 11 with a free public presentation titled Fighting the Future: The Philosophy of Predictive Algorithms in Criminal Justice—continuing the THI’s series of conversations this year about Data and Democracy. Lam will discuss the different stages of the criminal justice system—such as policing, bail hearings, and sentencing—where computerized algorithms are replacing human decision-making in deciding where to police, who to arrest, who goes to jail, and who goes free. On April 13, Lam will also serve as a judge for the Center for Public Philosophy’s Outreach Invitational High School Ethics Bowl. And during his UCSC residency, Lam will also be finishing up and releasing the next episode of Hi-Phi Nation. 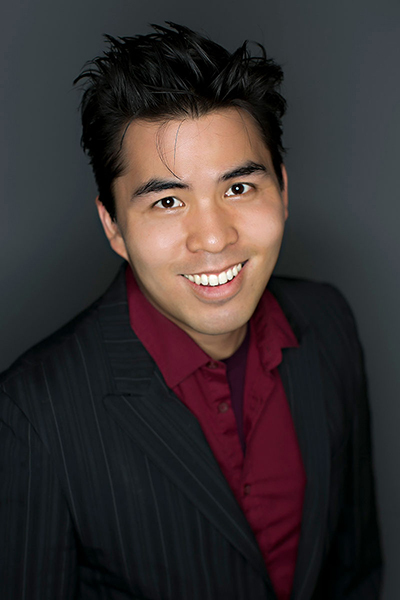 For more information and an interview with Barry Lam, visit The Humanities Institute (THI) web site.